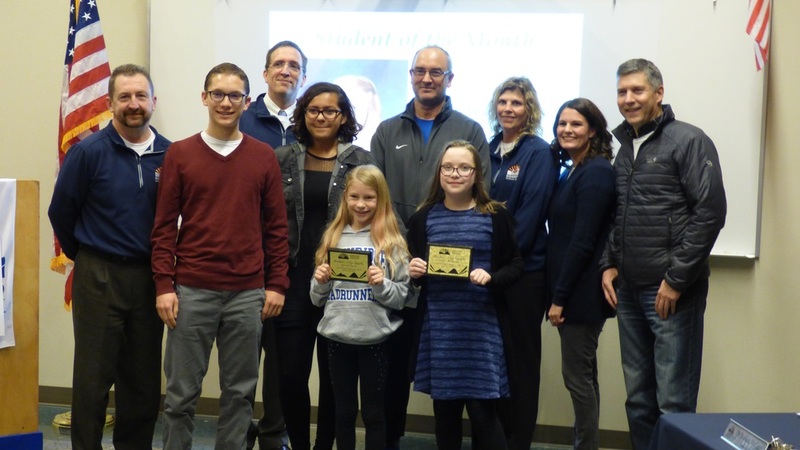 On November 14, Ridgefield School District officials recognized the November Employee and Students of the Month at the regular Board of Directors meeting. The Employee of the Month is Gregg Ford, social studies teacher at Ridgefield High School. A dedicated teacher for the past 39 years, Gregg is well-respected among RHS students, staff and community members. He teaches all levels of social studies, including AP classes, and always with a positive attitude and with a passion for the subjects he teaches. Students appreciate his availability before school and even during lunch. Outside the classroom, Gregg coaches the boys track team year-round. Last spring, the team brought home the state championship under his leadership. Gregg Ford exemplifies the qualities of many of the outstanding employees at Ridgefield High School and is deserving of the honor as Employee of the Month for November. We congratulate Gregg for the many contributions he brings to RHS and to the school district. Katelyn Crouch, a fourth grader, is November’s Student of the Month at South Ridge Elementary School because of the way she exemplifies the 3R’s on a daily basis. She is responsible in class, in school and in the community. She is respectful by including others in activities. Finally, by completing her class work, staying focused and working through challenges, she is resilient and encourages others to do the same. 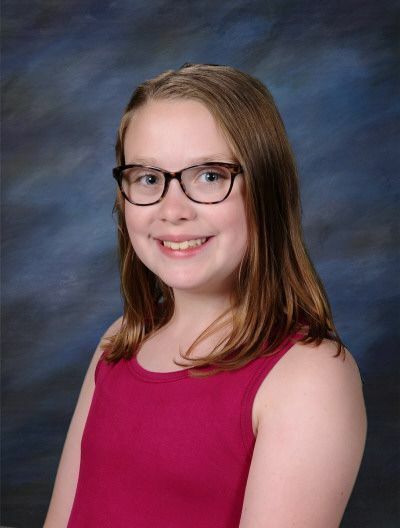 By bringing her personal best and encouraging others around her by example, Katelyn Crouch is South Ridge Elementary’s choice for November Student of the Month. Ashlynn Bredemeyer, a fifth grader, was selected at Union Ridge Elementary. Ashlynn has been a Tater Tot since kindergarten. She is a good student, showing perseverance and thoughtfulness in her school work. She is known for her kindness and is helpful in class and in other settings. A quiet leader and a helpful friend, Ashlynn leads by example in modeling the expectations of the classroom. 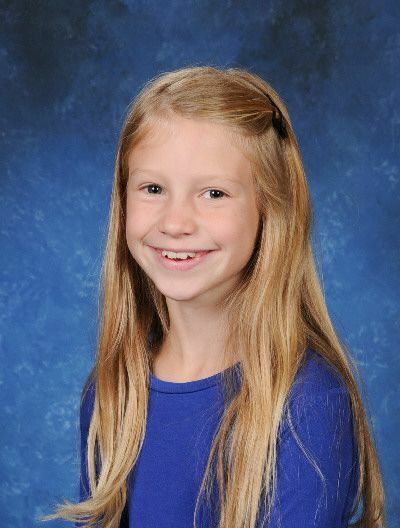 Union Ridge Elementary is proud to name Ashlynn Bredemeyer as its November Student of the Month. Adaya Stewart, an eighth grader, was selected from View Ridge Middle School. 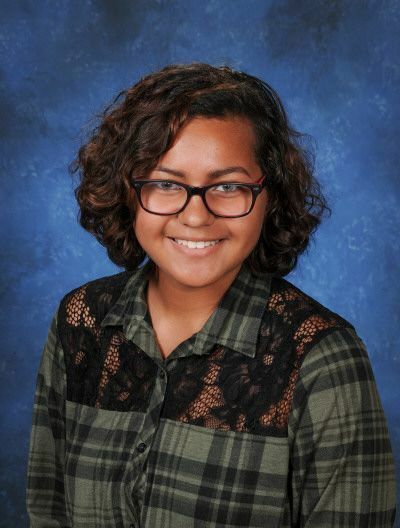 Not only is Adaya an excellent student with a quick wit; she has a generous and kind heart. Eager to lend a hand, Adaya frequently reaches out to new students to help them catch up on work and offers to help teachers with daily tasks. She is respectful and expertly mitigates conflicts among her peers. Adaya pushes herself academically, and her creativity shines through in her school work. She is a joy to have in class and is a role model for teachers and students alike. View Ridge Middle School is proud to select Adaya Stewart as its Student of the Month for November. Ian Abrams, a junior, was chosen from Ridgefield High School. Ian is an exceptional student . He carries a GPA of 4.0 and is a member of the National Honor Society. He is currently taking three AP classes, along with physics and third-year Spanish. He is also involved in cross country and track. Ian was instrumental in starting the peer-to-peer lunch time tutoring program at RHS, volunteering his time to help students needing academic assistance. Many staff members describe Ian as an “awesome kid.” Teachers describe him as diligent, kind, respectful, responsible, and resilient. One teacher saw him defend another student who was being bullied, and another commended him on his work ethic and gentle personality. 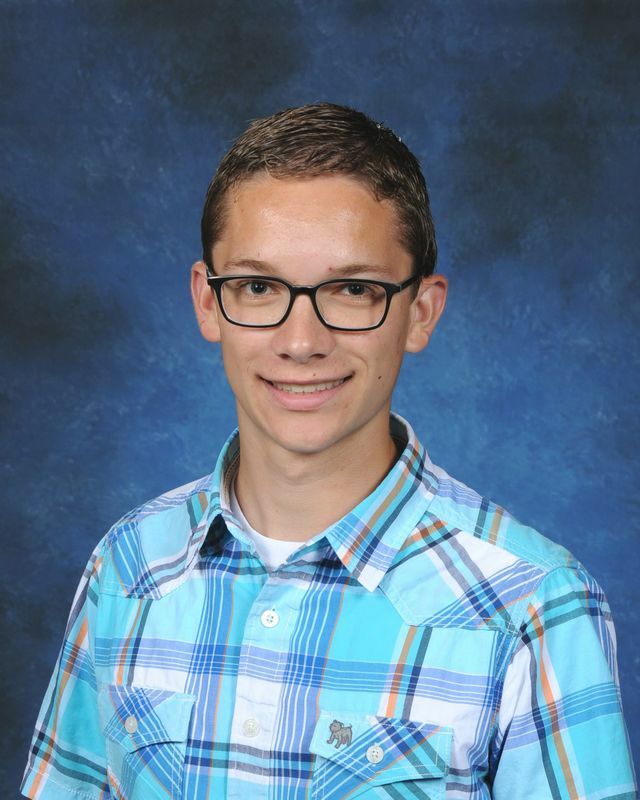 It is without question that Ian Abrams is worthy of recognition as Ridgefield High School’s Student of the Month for November.